Brittany. Bretagne. France’s far north-west. And Lohéac, a great place to race World RX. 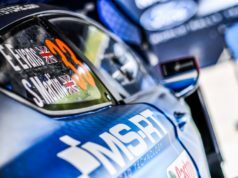 Petter Solberg and Johan Kristoffersson have won three of the last four World RX of France events and our defending world champion arrives chasing a third straight success. 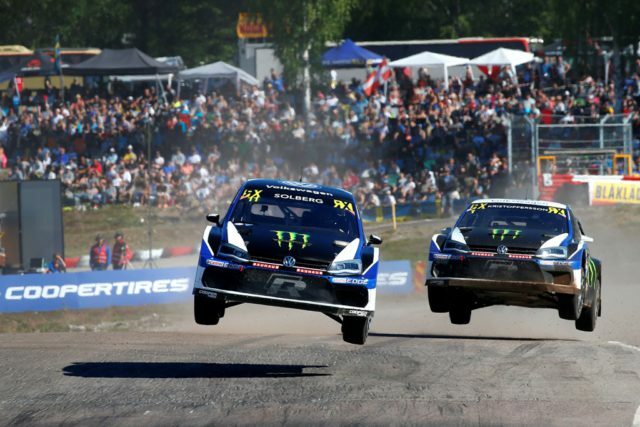 The PSRX Volkswagen Sweden objective is a simple one, to increase the lead in both the drivers’ and teams’ championship. 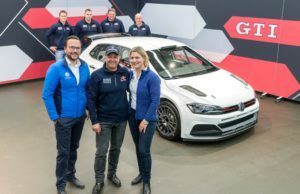 As ever, we’re completely aware of the intensity of that task in the face of such competition – especially the competition from local heroes Peugeot and Sébastien Loeb. Johan’s in town chasing a seventh win of the year, a result that would equal his own record from 2017. 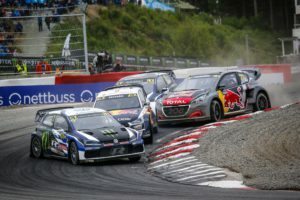 Pernilla, Peugeot’s been really strong this season – how much do you fear the 208 ahead of its home race? “I’m not sure fear is the right word. We don’t really have fear for anybody, but we do have a huge amount of respect. Peugeot has a really strong car and, of course, with Sébastien [Loeb] and Timmy and Kevin [Hansen] they have three of the best drivers in the championship. 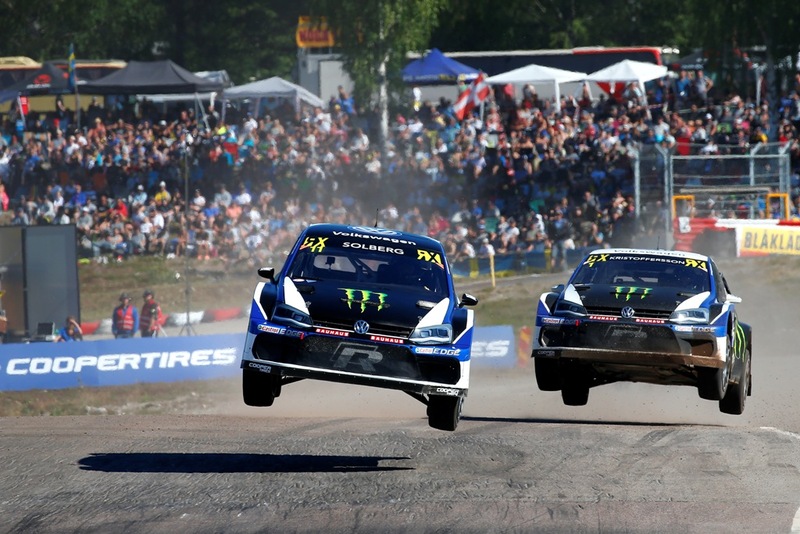 “But PSRX Volkswagen Sweden has real belief in what we’ve got too. Johan, you’re clearly good at dancing in the (French) rain – fancy more of the same this weekend? In a break with tradition, here’s another question for you Johan: why does the rain give you an advantage? “The Volkswagen Polo R Supercar is fantastic in those kinds of conditions where grip is a little bit more limited. I have such a good feeling with the car when we’re sliding. Normally in Lohéac, there’s not so much gravel; it’s strange, it’s brown, it looks like gravel and dirt, but actually, when you get there in the dry it’s giving you some more grip. So when the rain comes, I think it helps us. Now we’ve had two, we might as well have three questions: what’s the strategy this weekend? Petter, you’re going to your old adversary Sébastien Loeb’s backyard this weekend, how much would a win there mean? 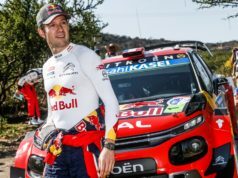 “A win anywhere means everything, but the rivalry with Sébastien [Loeb] is a healthy one like it’s always been. “It’s funny how things change down the years. When we were both in the World Rally Championship, Sébastien and I were fighting hard. We were both at the start of our career, OK I was maybe a couple of years ahead of him, but we were pushing hard; we were young and really trying to find success and to find our way to the top in the sport. “Things are a bit different now. We’ve both won some world championships – admittedly he’s still got a few more than I have, but I’m working on that! But we’re more relaxed about the pressure and everything that comes with the sport. Don’t misunderstand me, we both want to win and we’ll push like hell for that, but the relationship with Séb is really nice. We can talk about what we did a few years ago, enjoy each other’s company and then we go out and fight for the first corner. I love this.